Artisan Dance Studio has limited parking alongside, and directly behind the building, but not to worry! Wetmore or Beaumont Rd. 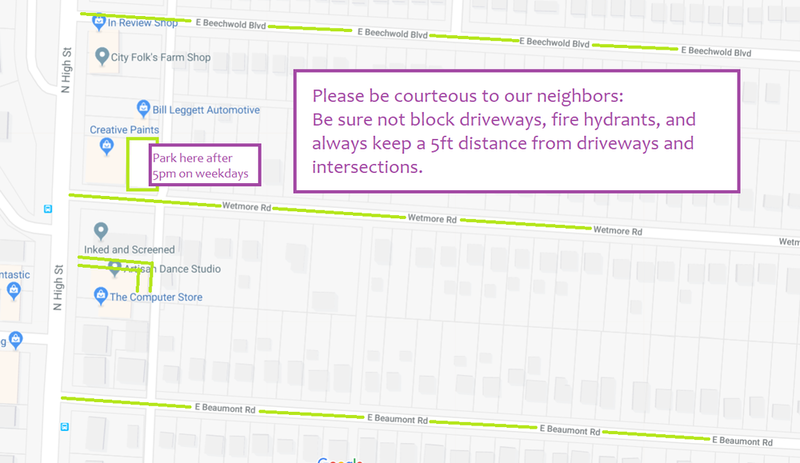 (please be courteous to our neighbors, do not block driveways, fire hydrants, and keep a 5ft distance from driveways and intersections).